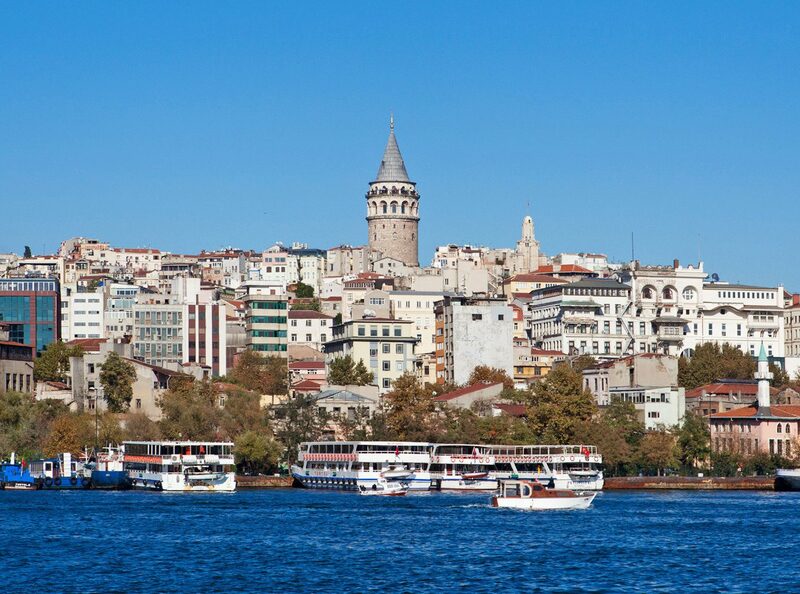 Known by many names—New Rome, Constantinople, Byzantium—the Turkish capital of economy, culture, and history has long served as the seat of trailblazing empires. 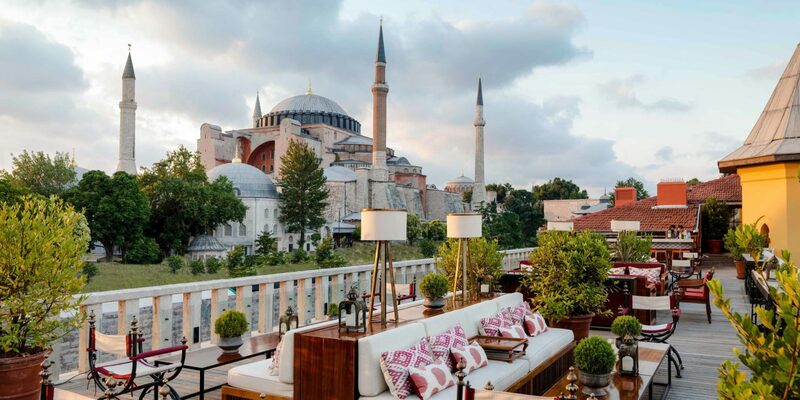 With iconic Ottoman-era palaces, mosques, and basilicas, opulent hotels, and multi-cultural cuisine, Istanbul is a destination that always ranks high on our list. 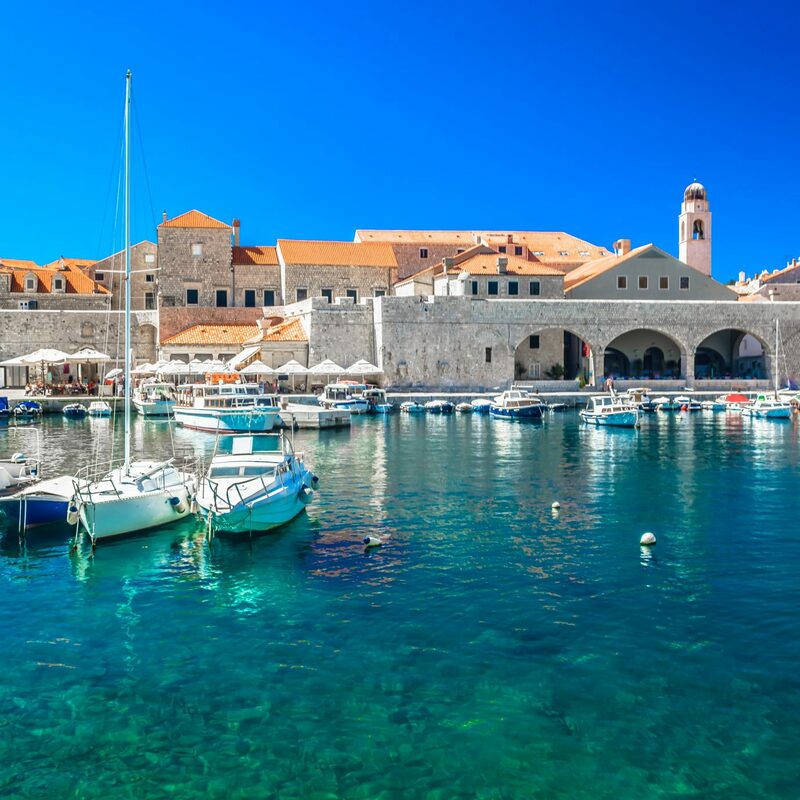 These 9 city stays are the places you'll want to consider checking into on your next trip. 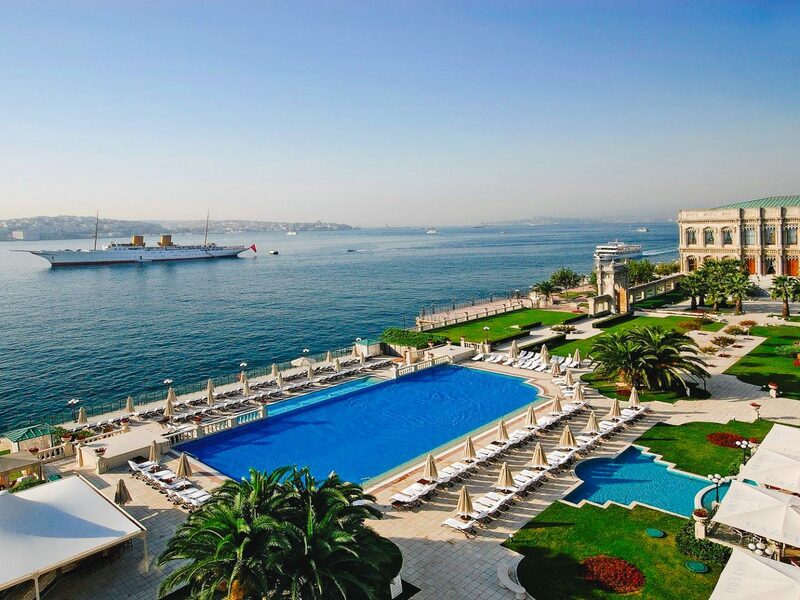 Visitors looking for the Istanbul of a bygone era will want to check in at Pera Palace Hotel Jumeirah. 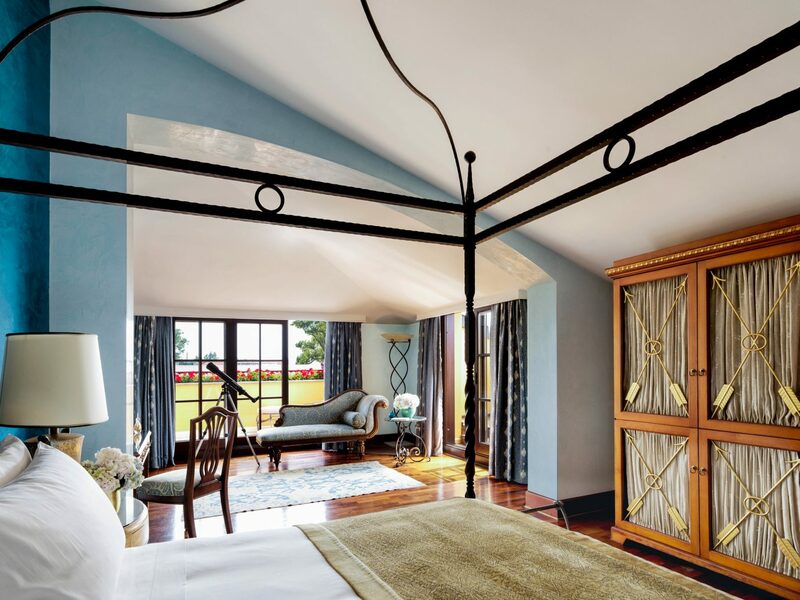 Dating back to 1892, the city’s most iconic stay works design from local architect Alexander Vallaury, and ultra-glamorous heritage decor—facets which surely helped attract such illustrious guests as Ernest Hemingway, Greta Garbo, and Alfred Hitchcock. 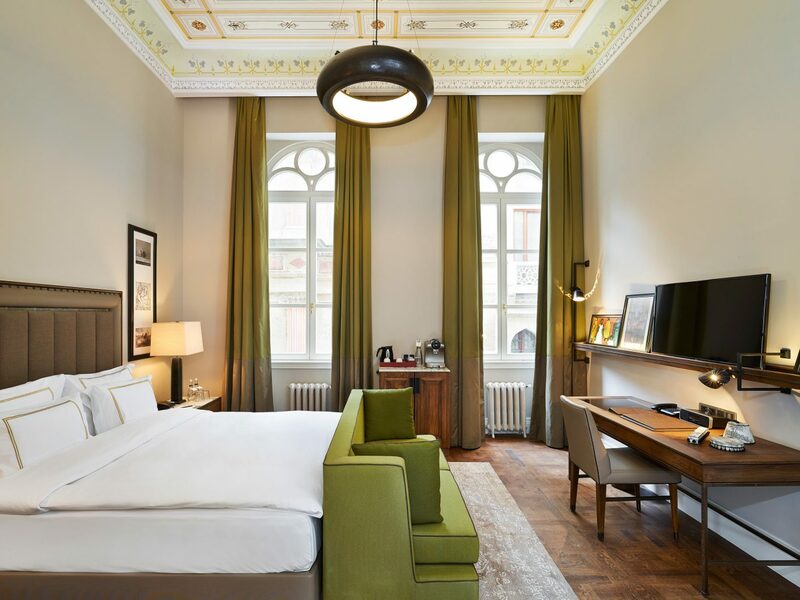 Located in the Beyoğlu district (on the European side of town), Pera puts guests within walking distance of the Bosphorus, Galata Tower, and Istiklal shopping thoroughfare. 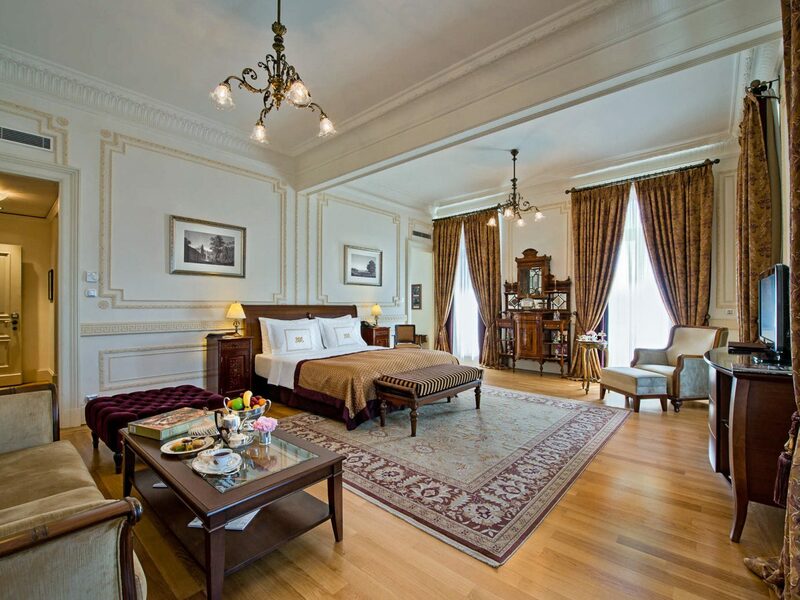 Though sumptuous linens and antique furnishings are hallmarks of every room, lit lovers will be particularly entranced by the black and burgundy Agatha Christie room—an intriguing fourth-floor suite where, rumor has it, the mystery maven penned Murder on the Orient Express. 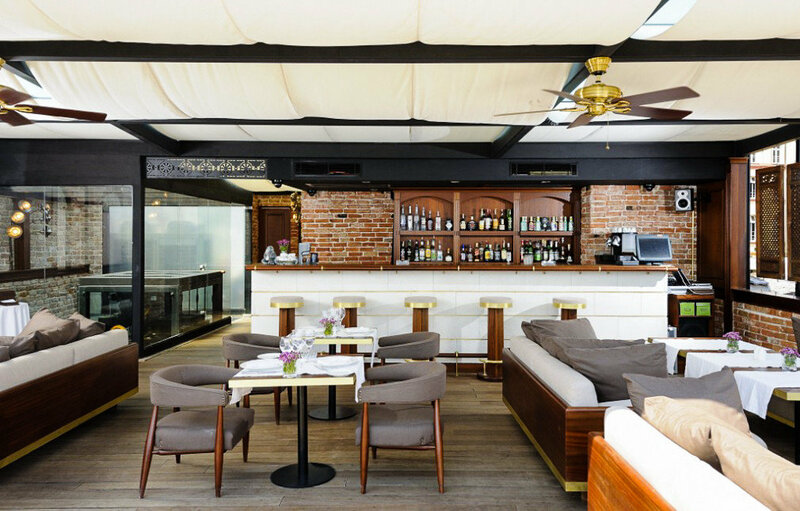 Istanbul’s ancient, harborside Karaköy neighborhood has undergone a major renaissance over the last few years. 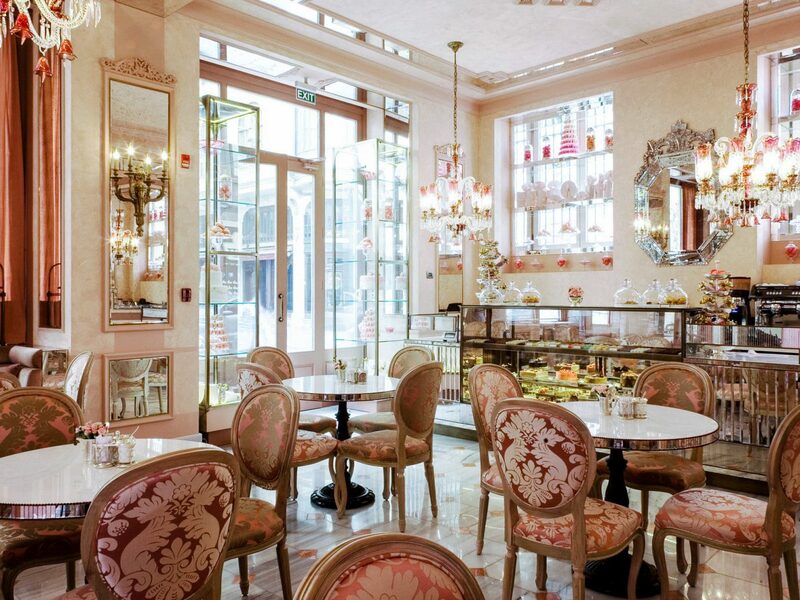 Now one of the hippest areas in the city—think Ottoman-era buildings now occupied by fashion boutiques, fine art galleries, and trendy bakeries—it’s a magnet for in-the-know travelers. 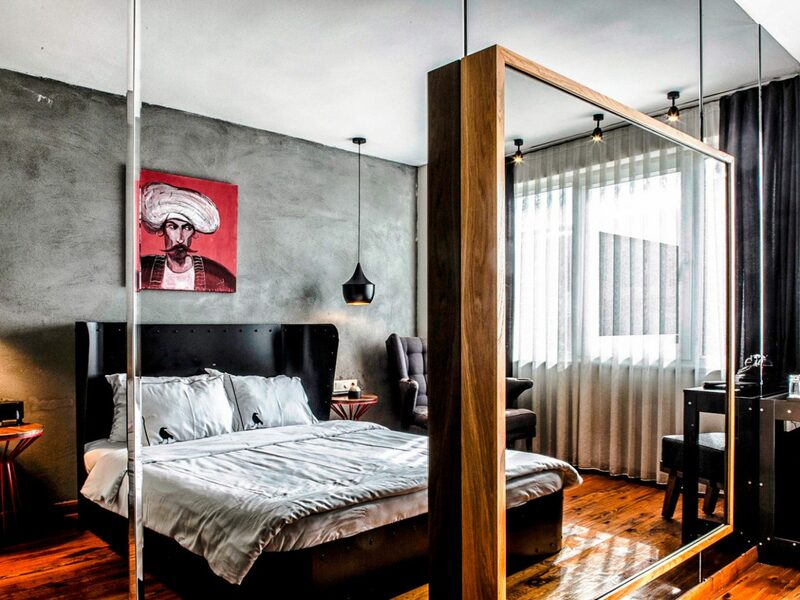 Just a couple blocks back from where the Bosphorus meets the Golden Horn, you’ll spot the intimate, 20-room SuB Karakoy. 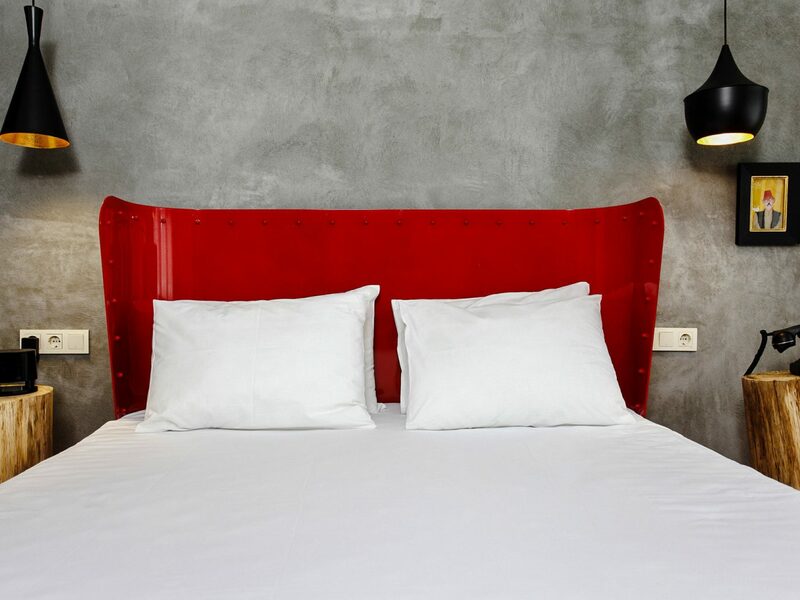 Reflecting the draws of its trendy area code, the hotel sports cool-kid decor like concrete walls, exposed ceiling beams, goose down duvets, and paintings by established local artists. 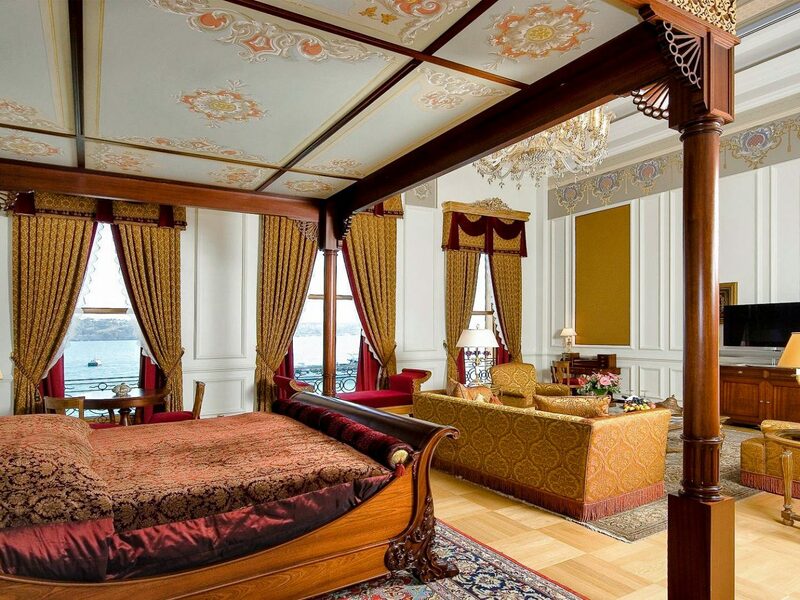 Bed down like the sultans of Turkey’s past at the Ciragan Palace Kempinski Hotel—an authentic Ottoman imperial palace right on the European shore of the Bosphorus. 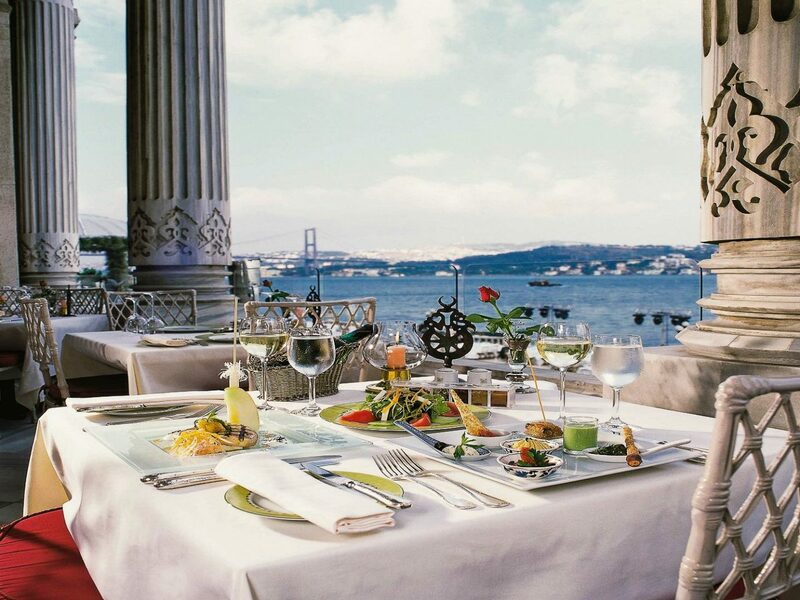 Tucked between the Besiktas and Ortakoy districts, the opulent stay hosts some of the city’s top social circles across four restaurants which offer east meets west menus laden with traditional Ottoman and Turkish influence. 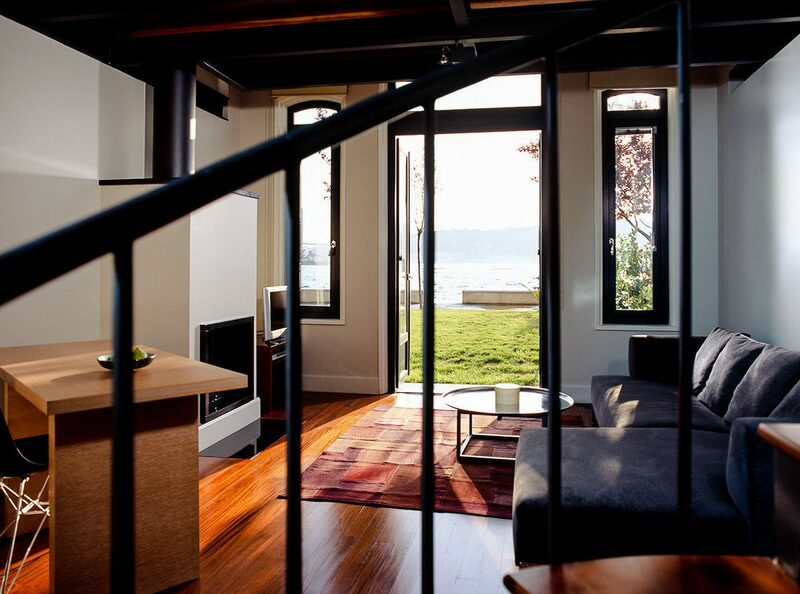 Rooms are refined, with classic decor, private balconies, and views across the strait, but it’s the Sanitas Spa that really has us sold. 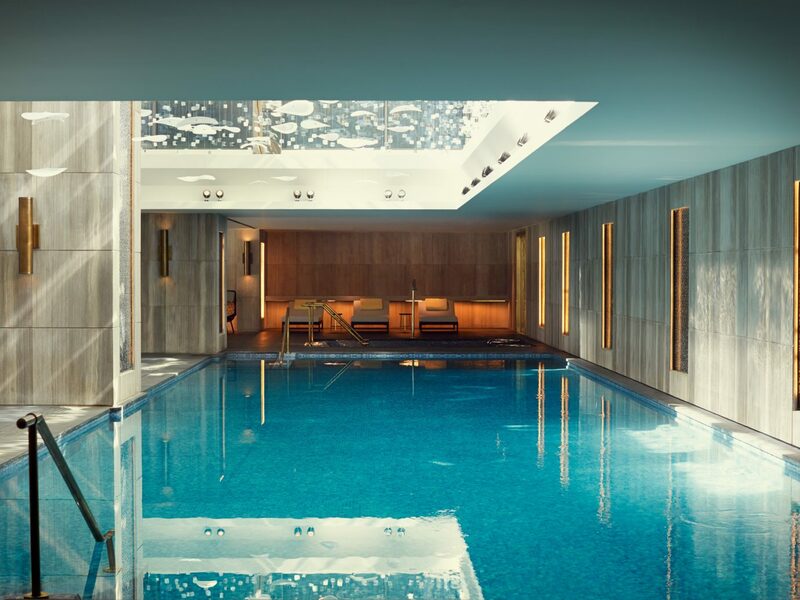 Book an appointment to try out the authentic Turkish hammam, go for an Ayurvedic treatment, or just laze about the heated outdoor infinity pool. 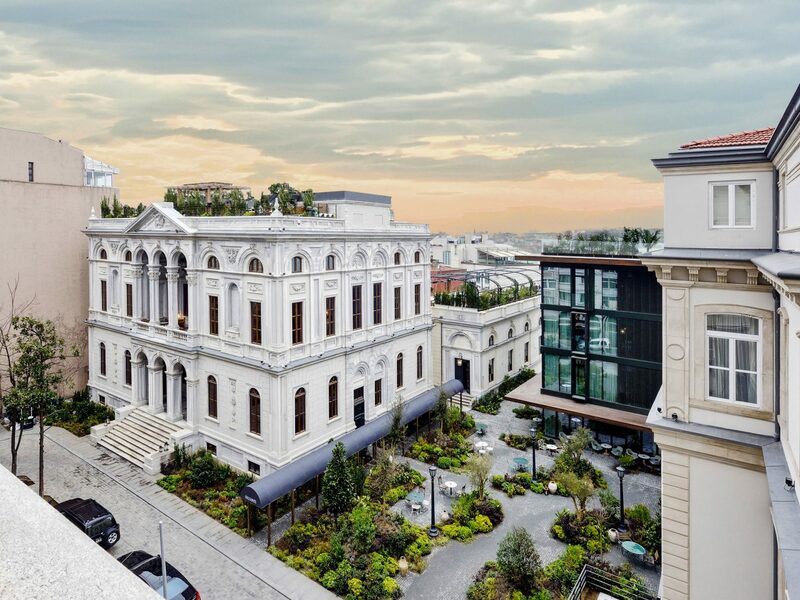 A century before becoming one of Istanbul's most lavish hotels, the Four Seasons’ neoclassical facade served as a prison, incarcerating famous artists and political figures well into the 1960s. 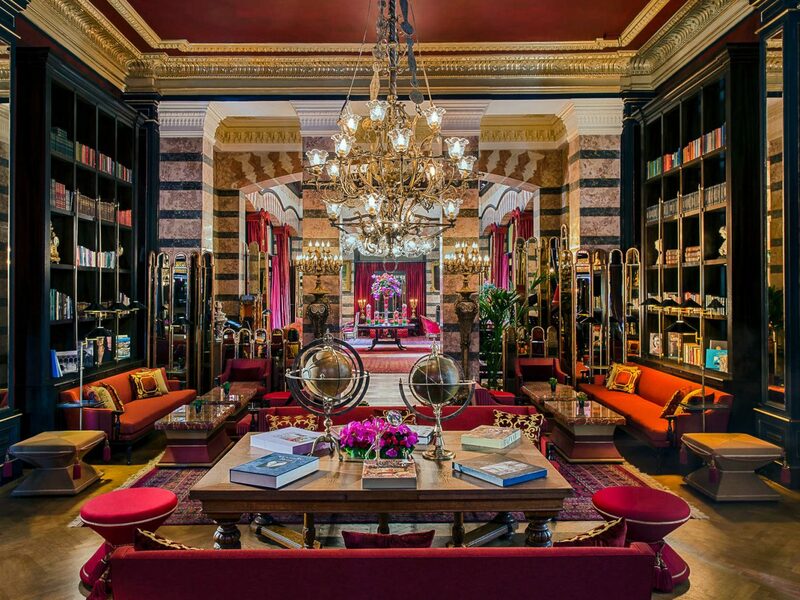 The building fell into disrepair until 1996 when it was relaunched as a luxury stay. Today, the Sultanahmet home base blends modern design with jailhouse-era elements, including original hand-painted tiles, arched hallways, and marble pillars. 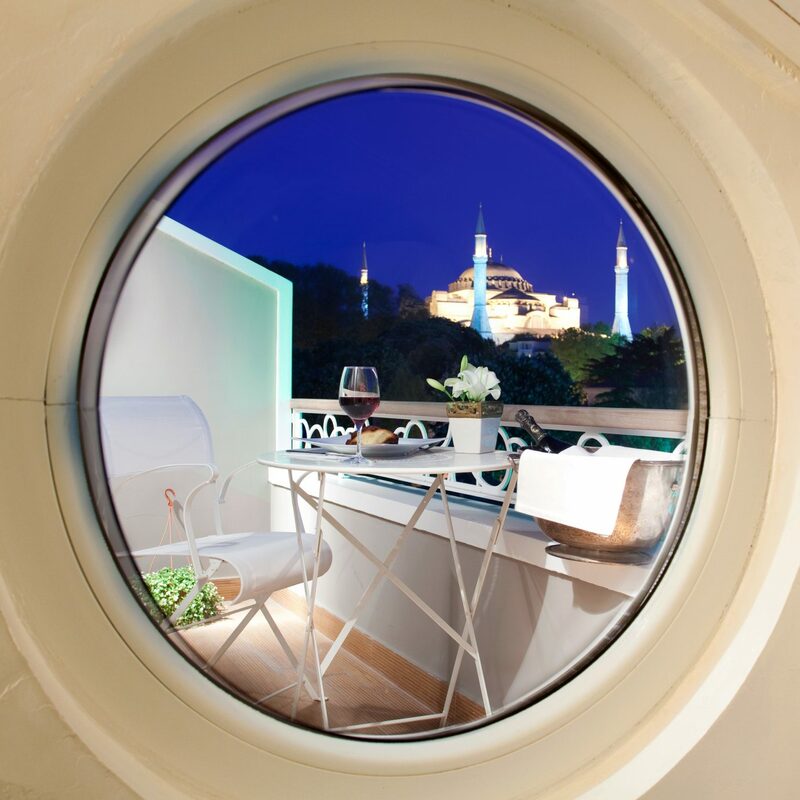 Just a five-minute walk from Hagia Sophia, the Blue Mosque, Topkapi Palace, and Grand Bazaar, it's an ideal spot for first-time visitors and those who want to be in Old City. 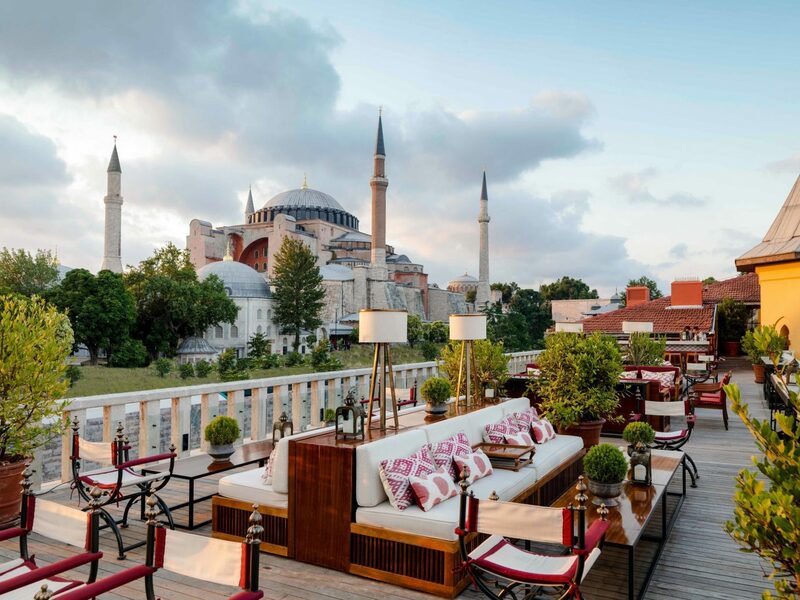 Once the sun goes down, grab a nightcap at the A’YA Rooftop Lounge where you’ll sip on regional wines within spitting distance of the iconic mosques’ minarets. 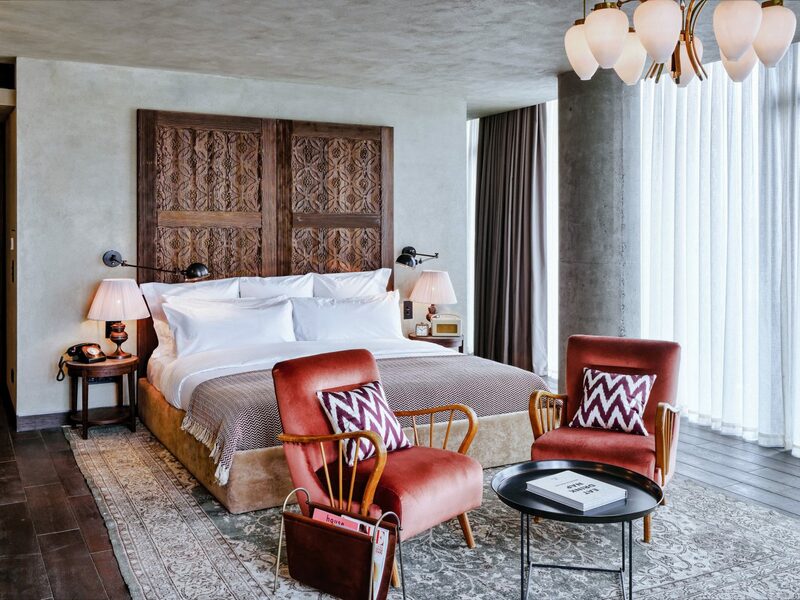 The Soho House brand has had no trouble making a name for itself with uber-cool spaces—be it members’ only clubs, rooftop pool decks, chic hotels, or hard-to-get-in restaurants—in hot-ticket cities like London, NYC, and Berlin. 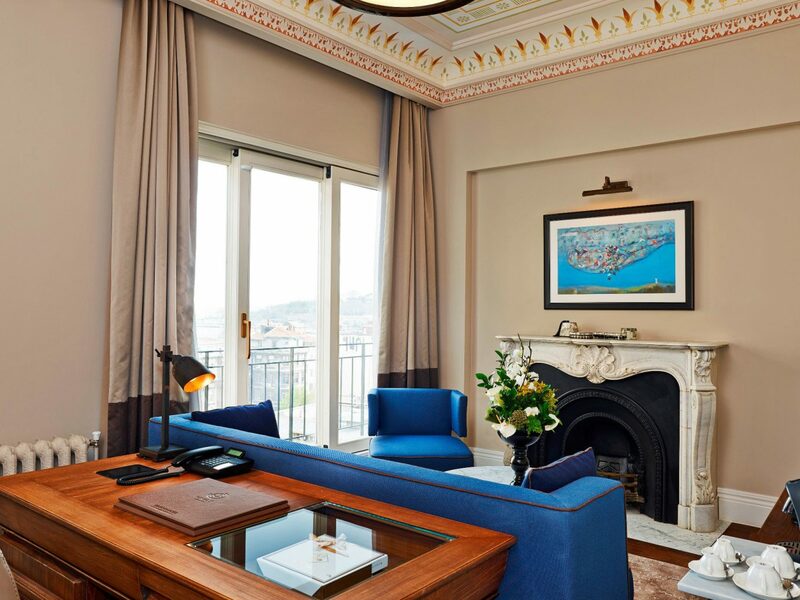 Since 2014, the chic Istanbul outpost has followed suit, taking up residence in a 19th-century palazzo that once served as the U.S. embassy and consulate. 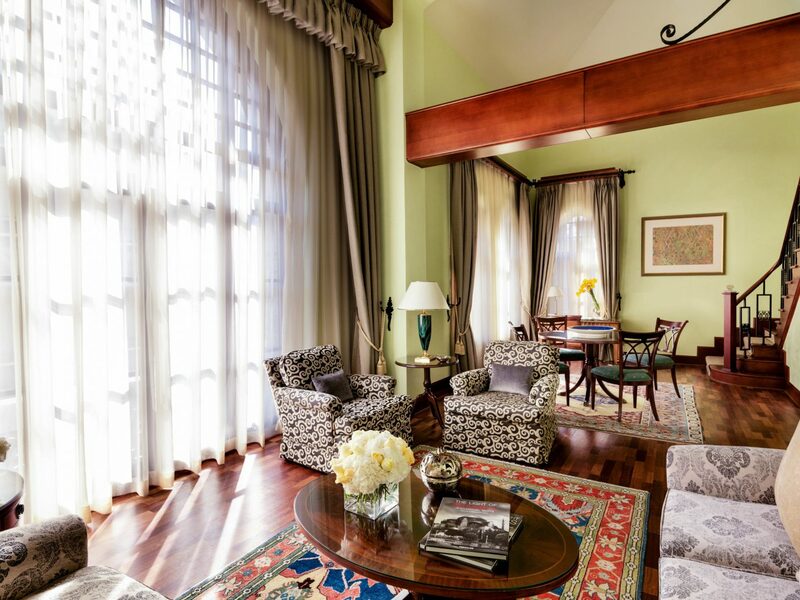 Common areas are heavily Venetian influenced, with a central Carrara marble staircase and frescoed walls, while rooms—categorized tiny to large—are a mix of east meets west with velvet upholstered chairs, parquet floors, and Turkish kilim rugs and ikat pillows. 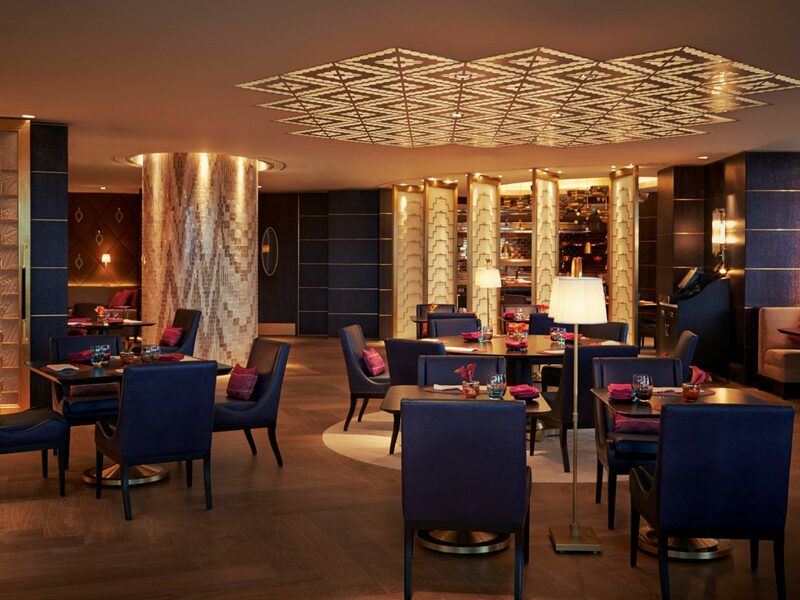 Grab a familiar bite at Cecconi’s (you might have tried them in Miami, WeHo, or Barcelona), or go for mezes and afternoon tea at The Allis. 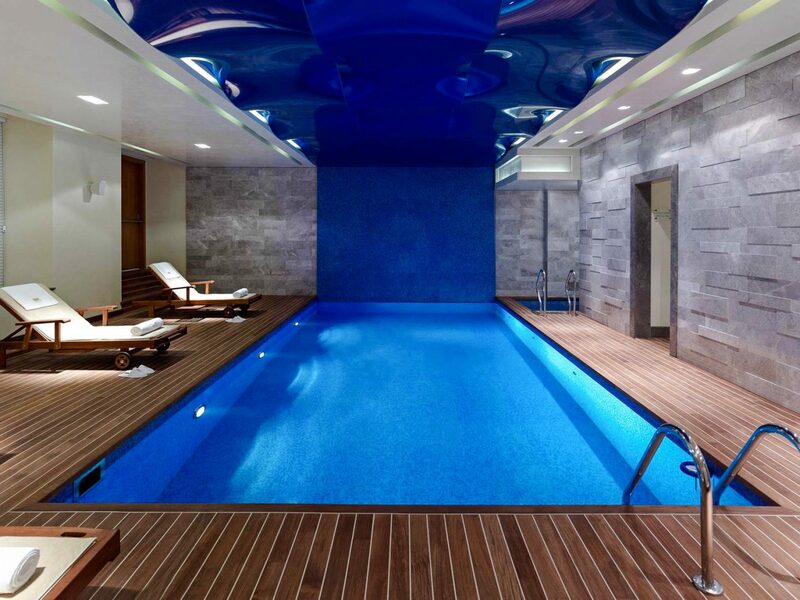 Located in Zorlu Center—a shopping mecca in the Beşiktaş district—Raffles is a no-brainer for visitors looking to get acquainted with the city’s best luxury brands. 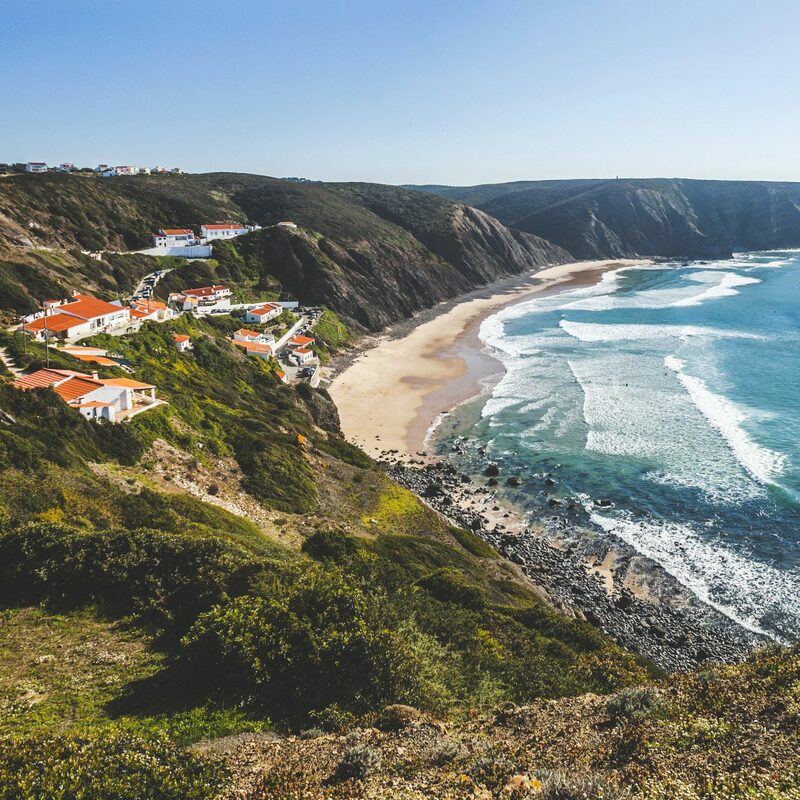 In fact, guests can arrange time with a personal shopper and image consultant who will curate a spree that fits your wardrobe needs, be it ready-to-wear apparel or a bespoke suit. 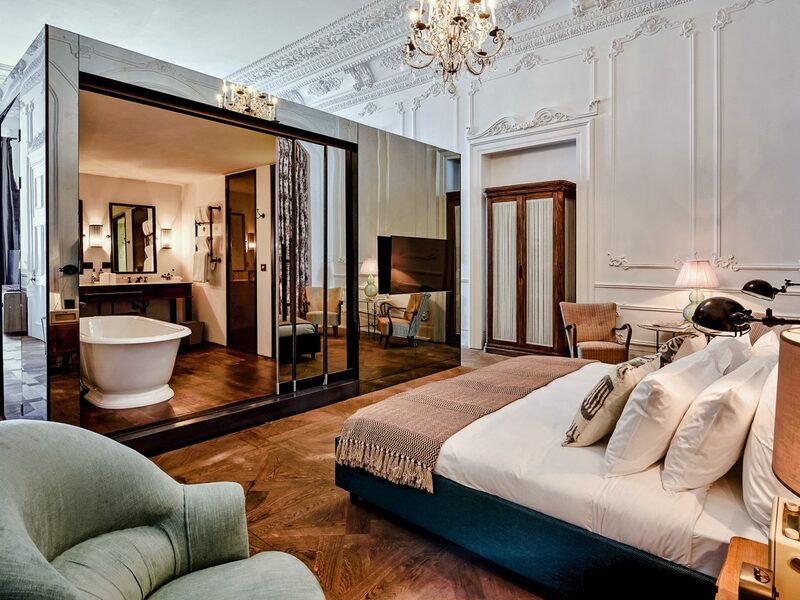 The hotel appeals to more than just the fashion-minded set, of course, with elegant rooms and suites tended to by signature Raffles butlers. 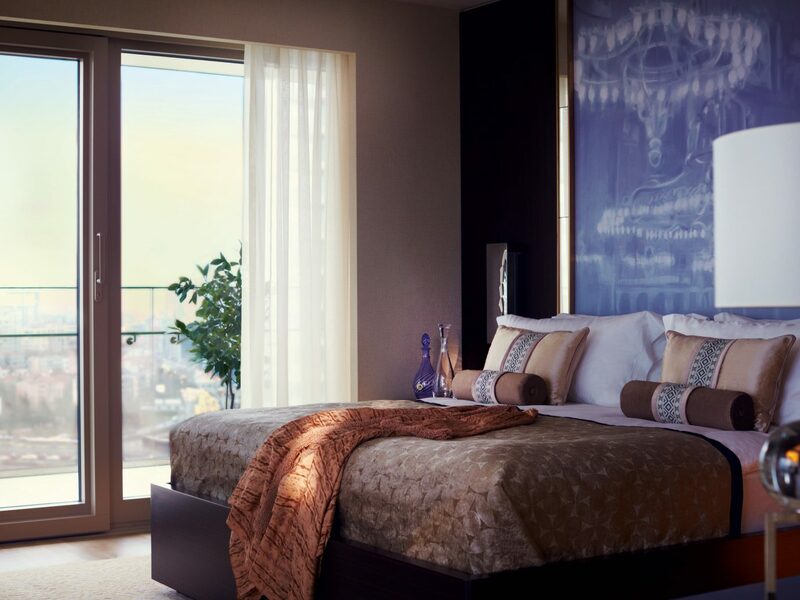 Airy accommodations are done up in dreamy blues and greens, hand-woven Turkish carpets, and spacious private balconies which look out over the Prince Islands in the Sea of Marmara. 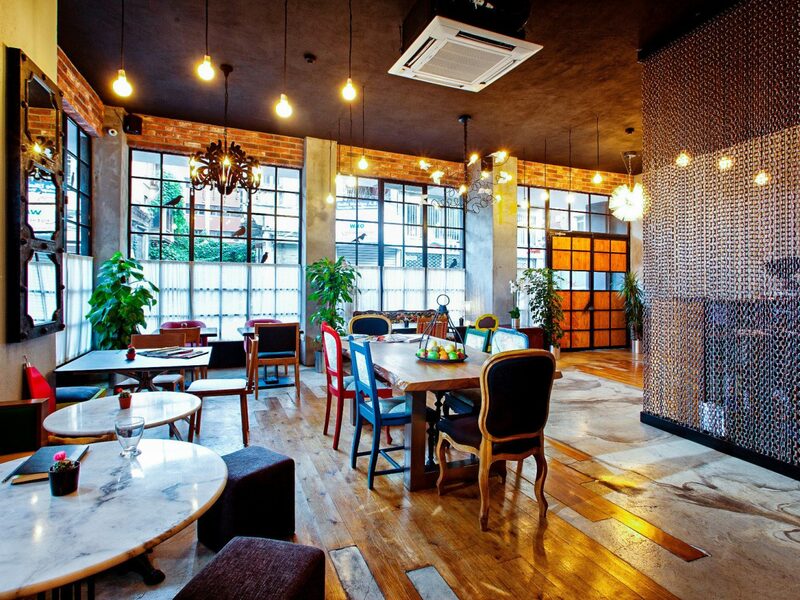 Tucked away in an 1860s apartment building on a cobbled ave just steps from Galata Tower and Istiklal Street, this chic 20-room boutique—along with trendy coffee shops, cafes, and Turkish design stores—has brought appeal to a once seedy part of town. 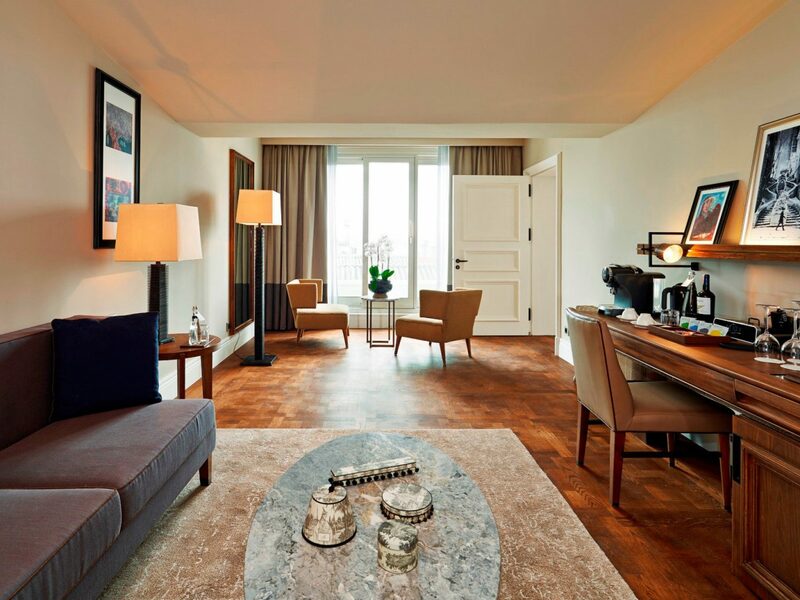 With soaring ceilings, glossy parquet floors, and marble bathrooms with walk-in rain showers, the stay maintains its residential sensibilities. 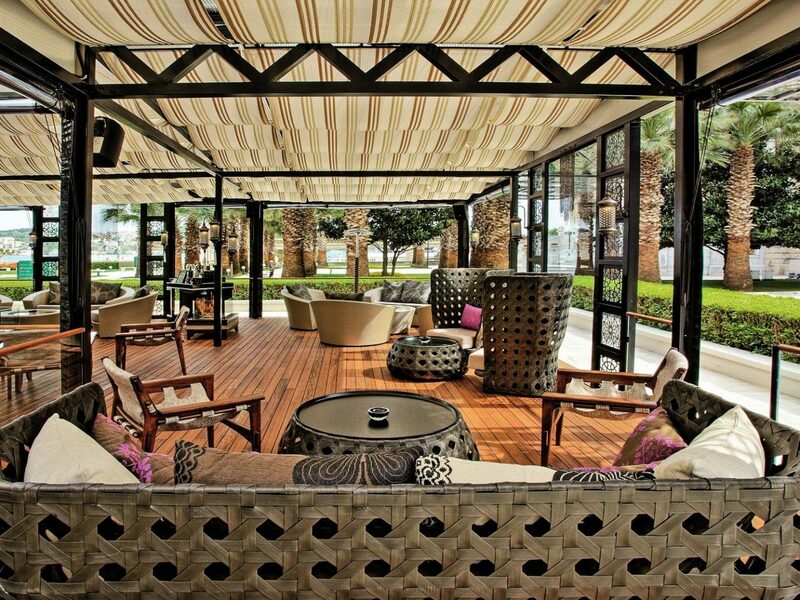 But with Le Fumoir—a French-inspired rooftop terrace and restaurant—it also indulges those looking for a scene. 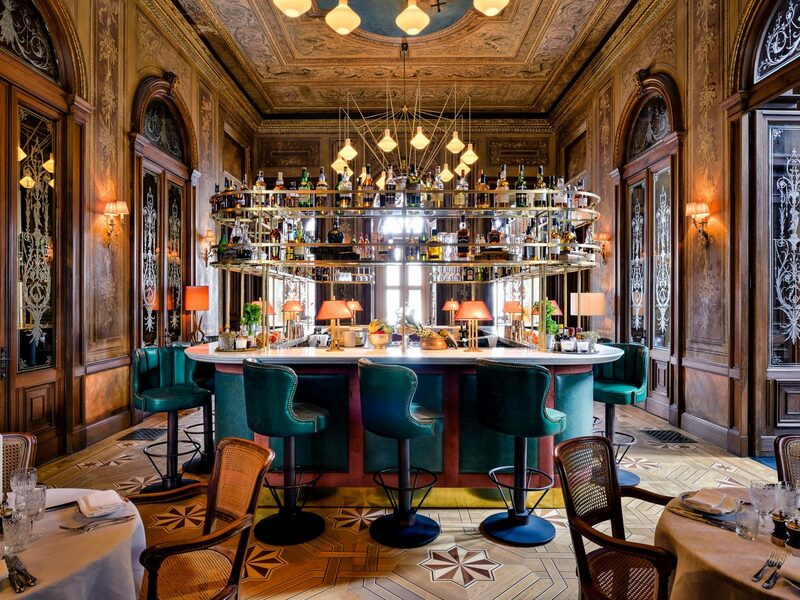 Once the headquarters of the Ottoman Bank, Vault Karakoy has retained its building’s 19th-century charm, keeping its Beaux-Arts exterior, original granite flooring, and cellar vaults (which now house the hotel bar’s fine wine collection). 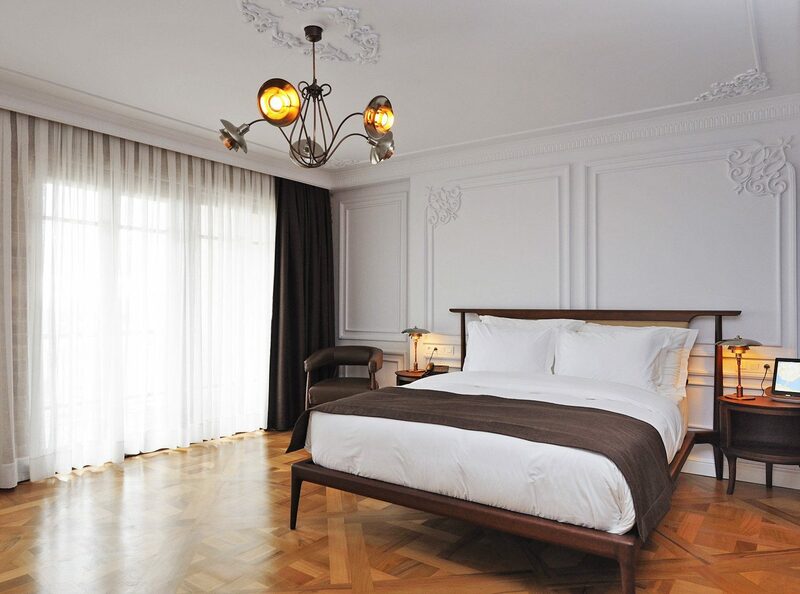 Interiors are homey and apartment-like, with stenciled ceilings, green Carrara marble bathrooms, and parquet flooring. 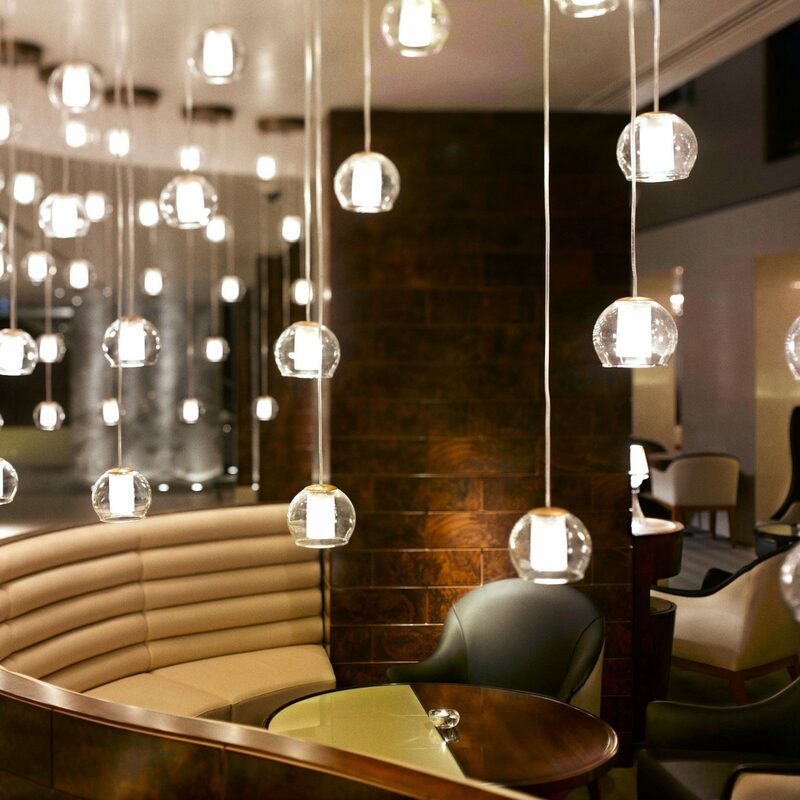 While there’s much to see in the area—the Pera, Sultanahmet, and Galata neighborhoods are all nearby—don’t miss out on Kasa Lokanta, the hotel’s atmospheric lobby bar and restaurant which serves up all matter of Mediterranean mezes. Also set aside a half-hour or so to check out onsite art exhibitions and events organized by Vault Karakoy’s in-house curator. 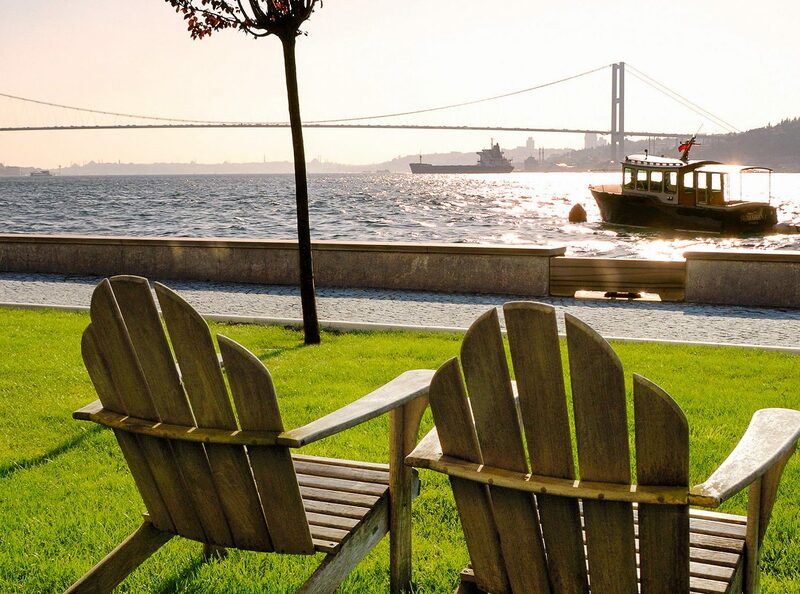 The Bosphorus’ Asian coast is often skipped in favor of the European coast, but places like Sumahan on the Water make a case for crossing over. Hugging the strait in the Çengelköy neighborhood—which is known for its seafood, wooden waterfront mansions, and promenades—the former 19th-century distillery received a modernist overhaul from Turkish-American owners Nedret and Mark Butler (whose ancestors actually owned the building). 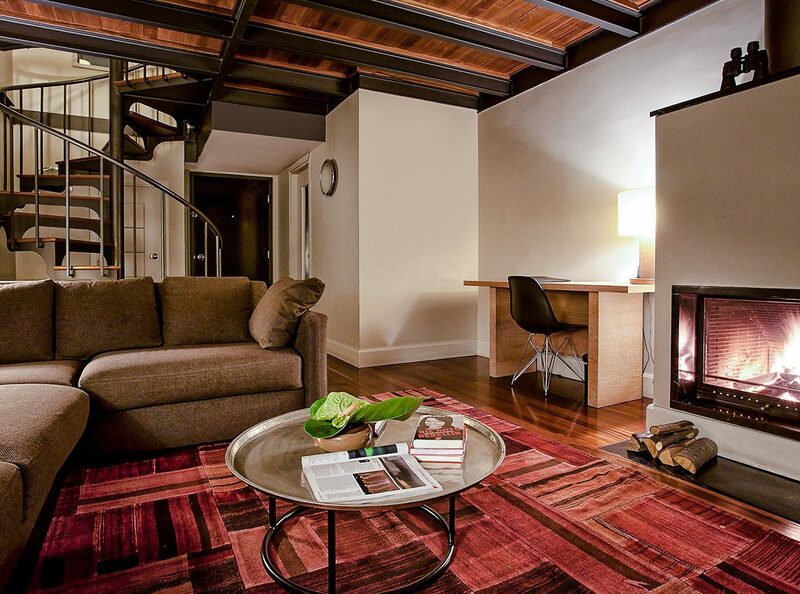 Common spaces are a study in exposed brick and steel, while thirteen rooms and suites are light filled with floor to ceiling windows and neutral tones. 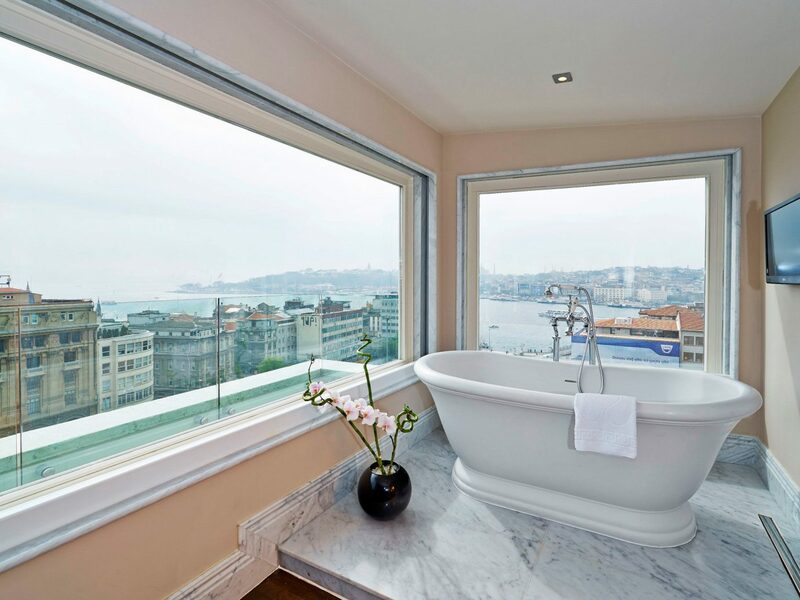 Go for one of the twin level loft suites and you’ll have access to your own Bosphorus-facing garden.